Take your game to the advanced level with the help of two of the top pool instructors in America. In this DVD, Randy Goettlicher and Scott Lee demonstrate and explain everything it takes to become a top level player. Among the topics covered are: 8-ball rules; 9-ball rules; cue ball quantification; three rail kicking system; two rail kicking system; one rail kicking system; aiming; 8-ball and 9-ball practice games; and frequently asked pool questions. In the Special Features section, you will also learn numerous impressive trick shots from Scott Lee. 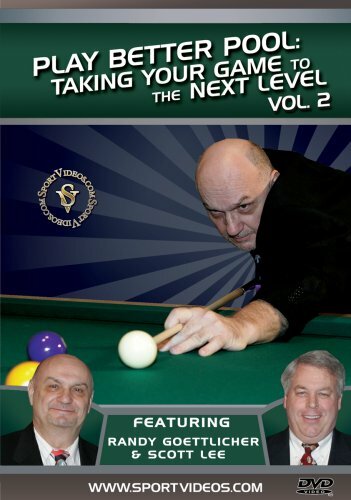 This DVD is an excellent training resource for any serious pool player!